What’s Open This Ekka Public Holiday in Brisbane? Looking for Brisbane cafes, bars, or restaurants that are open today, or just generally stuck for things to do in Brisbane this Ekka public holiday? We've got you sorted. These kind folks have forgone a ride on the Ferris wheel to keep their doors open for us this Ekka public holiday, and we love them for it (because, let's face it, we're all hungover, and we need bacon). Here's our guide to what's open this Ekka public holiday in Brisbane. Claret House are not just opening their doors today, but really getting into the Ekka spirit. They're hosting an Ekka public holiday barbecue event, complete with Claret's take on the classic Ekka strawberry sundae. Open from 12pm. Fancy a Middle Eastern breakfast to get your Ekka public holiday started right? Shouk in Paddington are open from 7:30am. 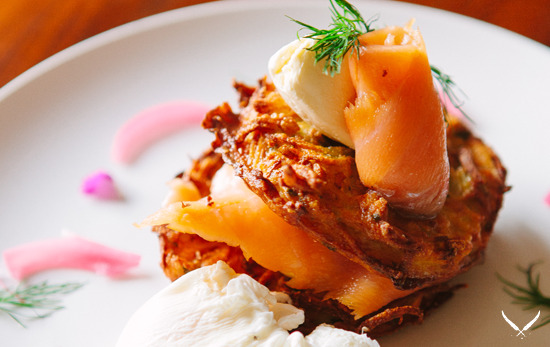 East Brisbane's Foxy Bean are open for breakfast from 6am to 2pm, so you can sleep in then dive headfirst into a plate of breakfast nosh from this adorbs café. If drinks, charcuterie, and cheeseburgers on your day off sounds like heaven, then head to Gerard's Bar from 12pm. There'll be old school hip hop on the outdoors deck all afternoon. Shutter & Brew are selling gourmet hotdogs and strawberry cheesecake sundaes, today only, from 6:30am to 1:30pm. Get down there! Fancy a touch of Francie on your pub' hol? Yeah you do! Francie Mays are serving up their Asian-inspired dinner and bar bites today from 4pm until late. Open from 7am until 3pm, it's business as usual for The Corner Store. Milton's fave for coffee, Bunker, are open and brewing up their finest from 8am until 12pm today. Sourced Grocer are open for breakfast, lunch, and showbags full of veg' this public holiday from 7 am to 2pm. New Farm's never-fail coffee hole-in-the-wall are open until 12pm. Heads up: Jamie's are only doing takeaway coffees today. You can grab a coffee from Small Talk today from 8am to 12pm. West End whisky bar, Cobbler is open this Ekka public holiday from 4pm for drinks and good times, and they are still BYO food. What legends. Restaurant Lurleen's at the stunning Sirromet Winery is open for lunch from 11:30am, while their equally dazzling Tuscan Terrace is open from 11am to 3pm for lunch in the sunshine. Fat Dumpling are open this pub' hol for lunch (11:30am to 3pm) and a dumpling dinner (5:30pm to 9pm). Looking for a breakfast spot that's open this Ekka public holiday? Paddington fave, Kettle & Tin are open from 7am. Bachelors and coffee experts, Kenmore's The Single Guys are open this Ekka public holiday from 8am to 1pm. 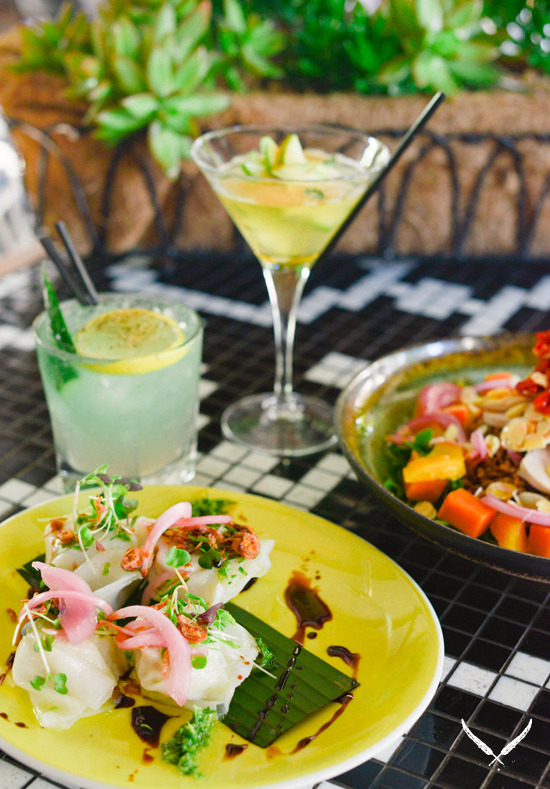 Fortitude Valley bar, Dutch Courage are not only opening their doors from 4pm today for some post-Ekka revelry, but they also have a selection of Ekka-inspired goodies to eat, and if you present your same-day Ekka ticket it's two-for-one! New Farm's glorious Asian street-food-inspired restaurant and café, Chow House, are open for breakfast and lunch, from 8am to 5pm. Fancy a pub lunch this Ekka public holiday? Of course you do! Get down to The Fox from 11am until late and enjoy a schnitzel, a schooner, and your day off. South Bank's Roastery Café is open from 7am until 1pm this Ekka public holiday. Newstead's own Chester Street Bakery and Bar are open for breakfast, brunch, cakes, coffee… you name it, this Ekka public holiday. Gaythorne's Grub Street have generously kept their doors open for breakfast today from 7am to 1pm. If you want all the fun of the Ekka, without going to the actual Ekka, The Brekky Creek are hosting a day of animal petting, face-painting, country-music appreciatin' fun for you and your crew. Plus, there'll be steak. Click here for more of what's open this Ekka public holiday in Brisbane.